I went to Band Pro’s open house event on Thursday expecting to mingle and see a few people I know, of which I did. Additionally I was expecting a product unveiling but didn’t expect ANOTHER set of primes. 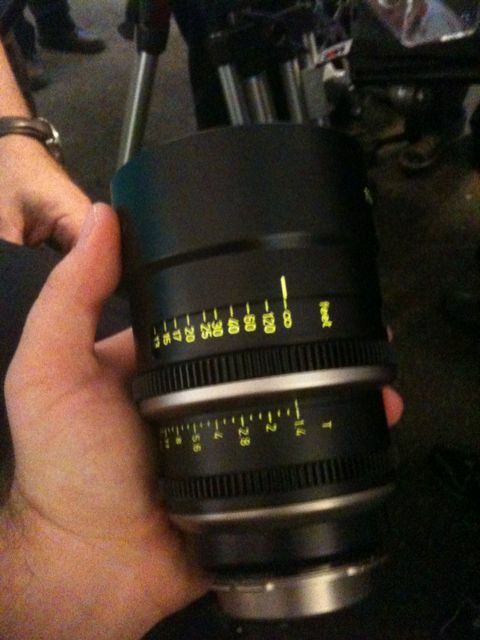 Aren’t there enough new primes hitting the market? 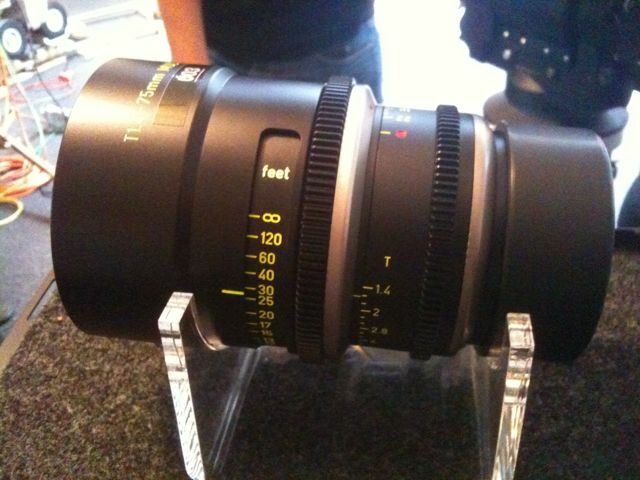 Who wants another set of rapid fire industry demanded lenses. But these aren’t another set of rushed primes taylored to cover a 4K digital sensor. These are solid, professional prime lenses. With an average weight of a mere 3 lbs achieved by titanium barrels and PL mounts, these lenses are both compact and bullet proof. The initial set slated for a summer 2010 release will include a 16mm, 18mm, 21mm, 25mm, 35mm, 40mm, 50mm, 65mm, 75mm, and 100mm. Soon to follow will be the 12mm up to 150mm for a total of 15 lenses in the series. “A unique use of aspheric technology and cutting-edge mechanical cine lens design provides the “Mystery Primes” with unmatched evenness of illumination across the entire 35mm frame and into the corners with no discernable breathing” said Michael Bravin, Chief Technology Officer of Band Pro. “Supression of color fringing into the farthest corners of the frame is superior to any lenses I have ever seen”. The entire set of T1.4 lenses share a unified distance scale, common size and location of focus and iris rings. Previous Previous post: Nikon D300s does video… sorta.